Dr. James Spencer Dryden, Jr., age 75, passed away peacefully on January 5, 2019 in Fairfax, VA. Jim was born on September 4, 1943 at the Walter Reed Hospital in Washington, DC. He grew up in Bethesda, MD and went to Walter Johnson High School. Jim graduated from William and Mary College in 1966 and joined the Army where he served as a 1st LT in the Chemical Corps. 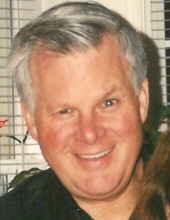 Jim then attended Georgetown University earning his DDS degree in 1973 and was selected to serve an internship with the Public Health Service in Seattle, WA. Upon return to the Washington, DC area, he served as a professor at Georgetown Dental School. In the late 1970’s, Jim started his Falls Church dental practice which he continued for 36 years providing service to the community until his retirement in 2010. A consummate professional, his love and passion for dentistry was evident in the care he provided to his patients and staff he adored. Following retirement, Jim and his wife Sheila traveled extensively visiting the world covering all seven continents. Jim was very patriotic, generous, kind-hearted and mischievous. Jim is survived by his beloved wife, Sheila, of 45 years, and his sisters Kay Dryden and Joy Dye. He is predeceased in death by his parents Dr. James Spencer and Inez Dryden and his sister Sandra Angle. He is loved by many nieces and nephews as well as other family members and friends who have been a steadfast source of comfort and love during his time of illness. Nova Premier Dental was first established in the late 1970’s by Dr. Dryden. He retired in 2010. Throughout his years at the helm of this practice, Dr. Dryden was known as a perfectionist and the quality of his dental work is evidence of that. Much of his crown and bridge work has lasted more than thirty years. His philosophy of “treating the mouth as a whole,” and emphasis on maintenance echos in the office. We strive to continue his legacy in providing the best and professional care for our patients. Nova Premier Dental © 2019 Copyright. All Rights Reserved.